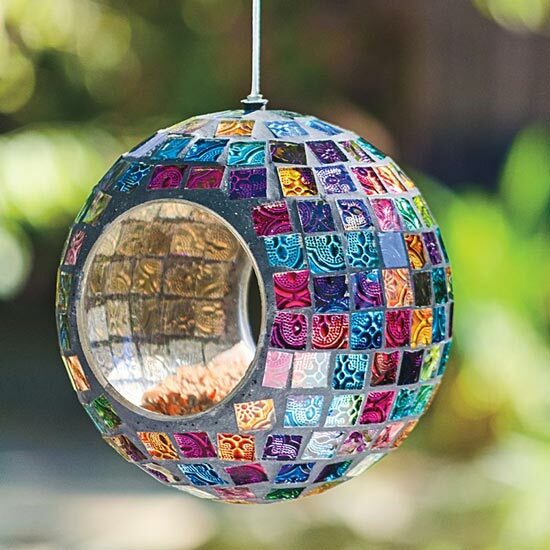 With its unique fly-through design and glass mosaic tiles, this bird feeder shines. Its kaleidoscopic colours are even more beautiful on a sunny day! Made of glass set in weatherresistant mortar. Because variances in glass colour are expected, each piece is unique. Hook included.6"h x 6"w x 6"d.